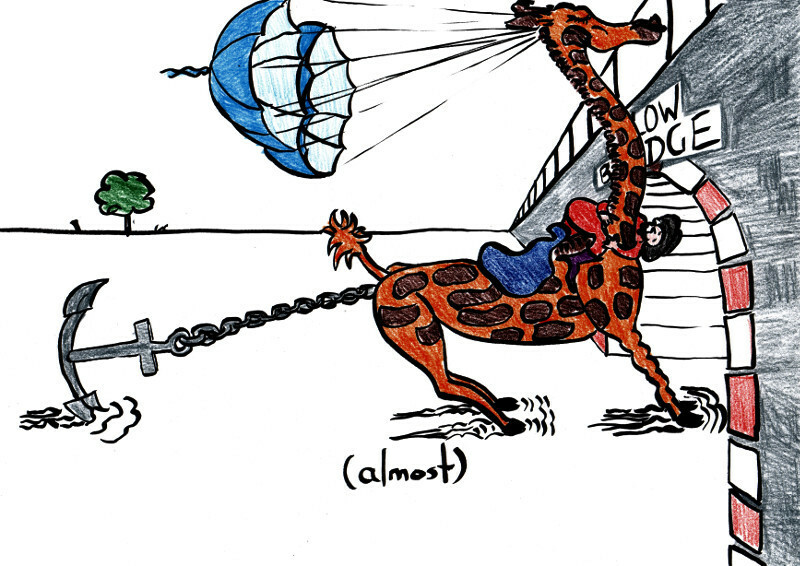 I’d heard that unicorns fart rainbows, but I didn’t know giraffes pooped anchors. well, you live and learn I suppose. I love it when someone takes an idea and runs with it — even if s/he needs a parachute for necessary stops for the unstoppable.